Yesterday, we posted an Image based MCQ - And as promised, here is the answer! The correct answer is C. Haemophilus influenzae. 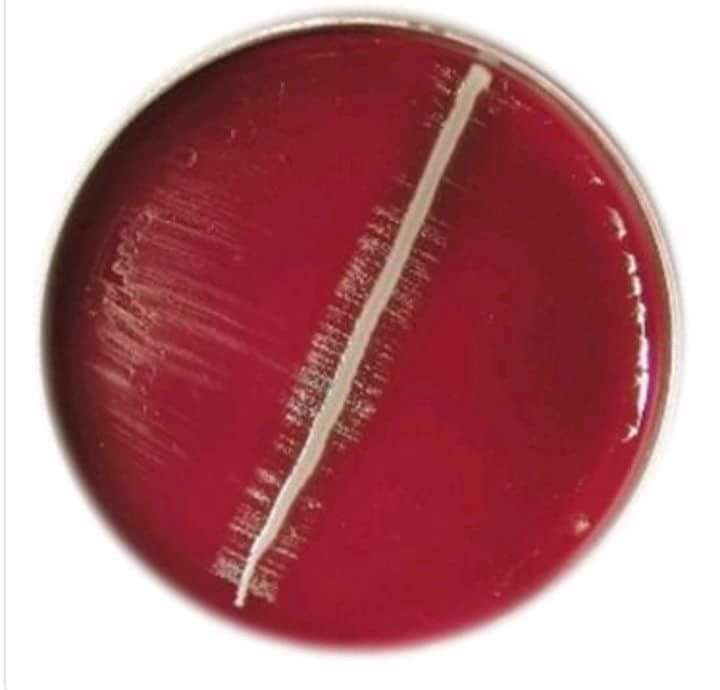 The given image shows the phenomenon of satellitism which is exhibited by Haemophilus influenzae when incubated on blood agar along with Staphylococcus. Factor V produced by Staph aureus helps in growth of Haemophilus. Haemophilus colonies will be larger and well developed alongside the streak of staphylococcus aureus since V factor diffuses into surrounding medium. This is known as satellitism.